NOTE: Yard Waste Collection has concluded for the 2018 season. Collection begins again the first week of April, 2019. The City of Monroe administers a comprehensive curbside contract with Waste Management for collection of all garbage (refuse), recycling, and yard waste. 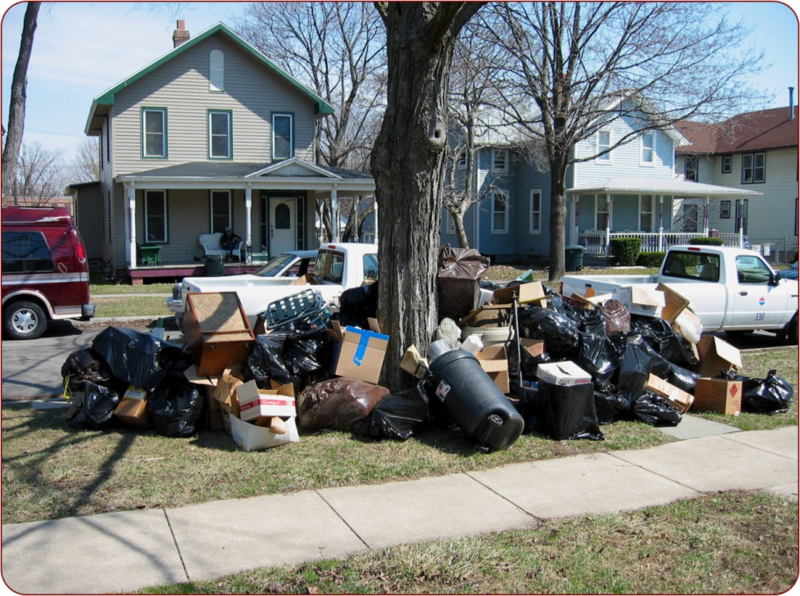 Both garbage and recycling are collected weekly year round, while yard waste is collected weekly in season, which typically runs from the first week in April through the first or second week in December, weather permitting. The City is divided into four (4) sections for collection Monday through Thursday as shown on the Refuse Collection Map. Following each of six major holidays, if they fall Monday through Thursday, collection will be delayed by one day. Those holidays are New Year’s Day, Memorial Day, Independence Day, Labor Day, Thanksgiving, and Christmas Day. To report an issue, click here. However, for immediate missed pickups, due to normal reporting processing time, it is encouraged that residents directly phone the Department of Public Services at (hyperlink to contact information), so staff may more readily facilitate resolution of the complaint in a timely fashion. It should be noted that the contractor may collect refuse at any time during the working day, so pickups are not necessarily missed until the end of the day. However, any stop missed at the end of the day can generally be resolved the following business day (including Friday) upon notification to the City.